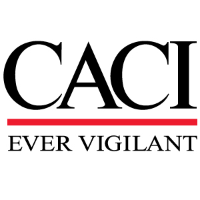 CACI has an opening for a Senior Naval Logistics Analyst on our USFFC Naval Forces Logistics (NFL ) program. Responsible for evaluating current NTCSS Logistics software operations. Prepares written reports/presentations to site lead analyst indicating solutions or possible alternatives in rank of desirability and probability of success. Develops, analyzes, conducts operational audits. Prepares follow-up reports evaluating effectiveness of system implementations. Determines topics, target audiences, and resources necessary to develop and present Navy automated supply systems courses. Bachelor's Degree in Business Administration, Management or related business discipline and seven to nine years of related Navy aviation logistics experience. As a substitute for education, eight years of "hands on" experience in automated supply/maintenance management may be utilized. Eight years of experience in automated supply, logistics, inventory, and financial management and NTCSS Software. Demonstrate a working knowledge of NTCSS Software, hardware and AISs. Demonstrate familiarity with supply AIS query procedures, NAVSUP and DOD publications. Logistics experience in the PACOM AOR is desired. Demonstrate an ability to perform file maintenance, analyze output reports, and recommend corrective actions.